It is our family tradition here at the TnTuberose Co. to provide the best service, fair prices, and quality bulbs to every order that we process for our valued customers. Sherry and I ask to receive your trust from us. 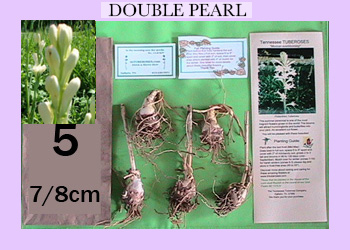 We will always work with each of our customers in any way to insure that your tuberose needs are met. 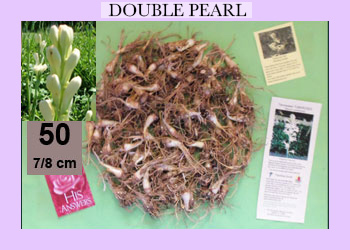 To visit our tuberose farm please contact us and to see the "blooming of the tuberoses" in Tennessee come during July thru Sept.
"You will be completely satisfied with your bulb order"
Ordering Bulbs: The best time to place your orders are during the months of Feb.-April for spring planting and Aug.-Oct. for fall planting. 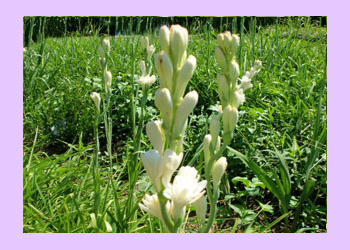 This flower thrives in full summer sun and blooms for you best in late July-Sept.(3 to 4 months after planting).The fragrance and beauty of the tuberose will attract hummingbirds, honeybees, and butterflies into your flower gardens. 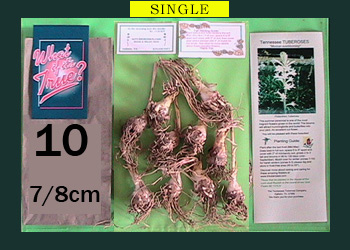 Once your payment is received we will ship your order in 7 to 10 days via U. S. Mail. 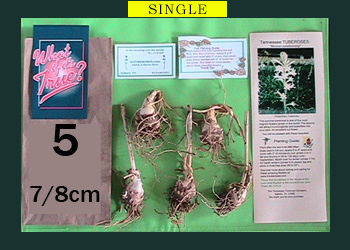 Upon delivery of your bulbs please open and unpack. 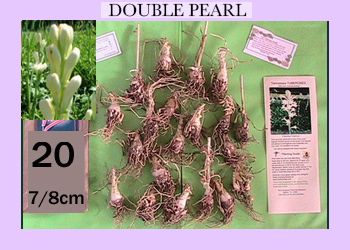 Bulbs need to be "aired out" until time to plant. Thank you. 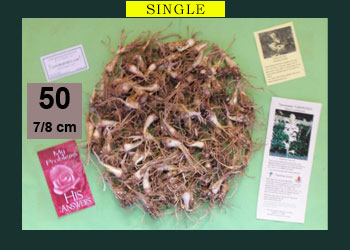 Ordering Instructions: Please enter desired quantities in Qty: boxes, then click green "Subtotal" button. 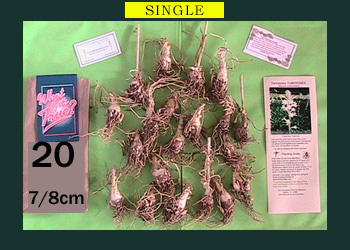 5 7/8+ cm bulbs, 1 spring and or fall planting guide, our business card, nursery certificate, Bible tract and extra "small tubers"
10 7/8+ cm bulbs, 1 spring and or fall planting guide, our business card, nursery certificate, Bible tract and extra "small tubers"
20 7/8+ cm bulbs, 1 spring and or fall planting guide, our business card, nursery certificate, Bible tract and extra "small tubers"
50 7/8+ cm bulbs, 1 spring and or fall planting guide, our business card, nursery certificate, Bible tract and extra "small tubers"
100 7/8+ cm bulbs, 1 spring and or fall planting guide, our business card, nursery certificate, Bible tract and extra "small tubers"
Double (multi-petaled), white/pinkish tipped blooms, sweetly scented and e-z to grow. Please contact us about these via email or phone call. Sherry and I now thank you all for visiting with us on our website. 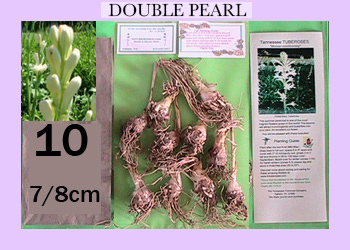 We welcome you to share with us your comments and suggestions on how we can improve our service and quality of our Tuberose business to you and your family when contacting us and when placing your orders. We close for now with this from GOD unto us all. "Drop down, ye heavens, from above, and let the skies pour down righteousness: let the earth open, and let them bring forth salvation, and let righteousness spring up together; I the Lord have created it."